In the aftermath of a sensational Coastline Clash!!! Coastline Clash is over and CWFH’s latest blockbuster delivered in every single match. If you missed it, make sure to get over to FITE TV right away and check out both episodes (ep. 257 & 258)! Lost amidst the chaos was the fact that at the very same second that the final bell rang at Coastline Clash, the road to the Red Carpet Rumble began! 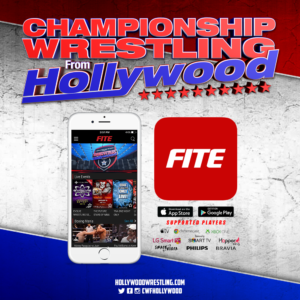 Courtesy of our partners at FITE TV, let’s examine four important topics that are sure to steer the road to the Rumble! For the first time in almost a year, CWFH has NEW United Tag Team Champions! But what’s next? After weeks of struggle, Jervis Cottonbelly convinced Hobo to ride the rails back to CWFH and their newly-formed team (The Friendship Express) caught fire. 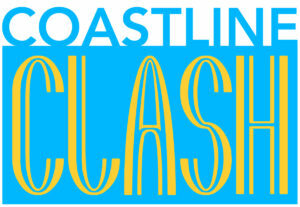 At Coastline Clash, that fire melted the tag titles right off the waists of Cold Cold World. Shockingly, the former champs are not expected to invoke their rematch clause. So, who next?Los Primos Rivera, Thatcher & Gulak, The Classic Connection, the PAC-3 and even the various combinations of Vermin are all potential challengers. Maybe it’s someone CWFH haven’t met yet.The question remains – who will next try to derail The Friendship Express? 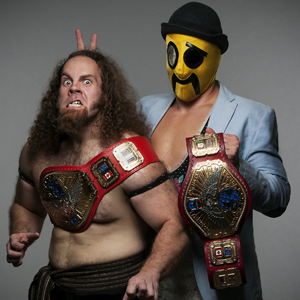 Hobo (l) and Jervis (r) won the championships at Coastline Clash! What is up with Vermin? For years Vermin’s strength has been drawn from two things – their numbers & their unity. 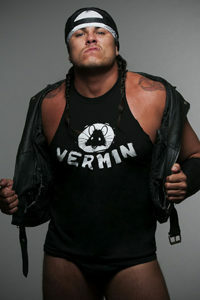 So the return of longtime leader, Yuma, should have made Vermin even more unstoppable than ever. Yet Bad Dude Tito (who has not been pinned since his return late last year) seems unimpressed with Yuma’s leadership. The only time Yuma has been able to rally all five members of Vermin to be in the same place at the same time was to suffer an embarrassing defeat to team CWFH at Coastline Clash.Can Vermin restore order to their ranks or, after years of surviving every assault imaginable, could the unthinkable happen? Could Vermin actually exterminate themselves? Bad Dude Tito’s on a winning streak, but Vermin is on a losing streak. Something’s gotta give – but what? 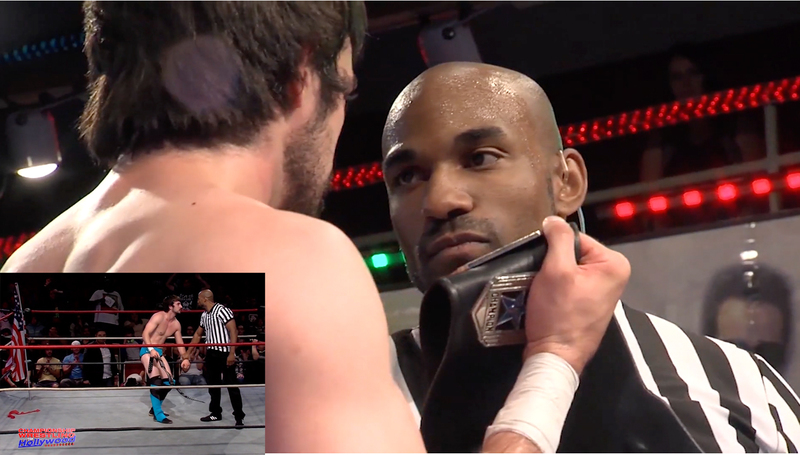 Is Scorpio Sky setting his sights on “Pretty” Peter Avalon and the Hollywood Heritage Championship? Sasha Darevko and his sinister comrade stole Avalon‘s championship and, for weeks, PPA couldn’t reclaim his gold. At Coastline Clash, after again defeating Darevko, the gold was about to walk away with the Russians again. But, special guest referee Scorpio Sky intervened and flattened Darevko’s enforcer. As he raised, PPA’s hand in victory, he quickly pulled the champion close – staring hard at Avalon and at his title.Is the former champ sending the current champ a message? Has Sky come back to reclaim the Heritage Championship? Scorpio Sky gets the attention of a stunned Peter Avalon at Coastline Clash. 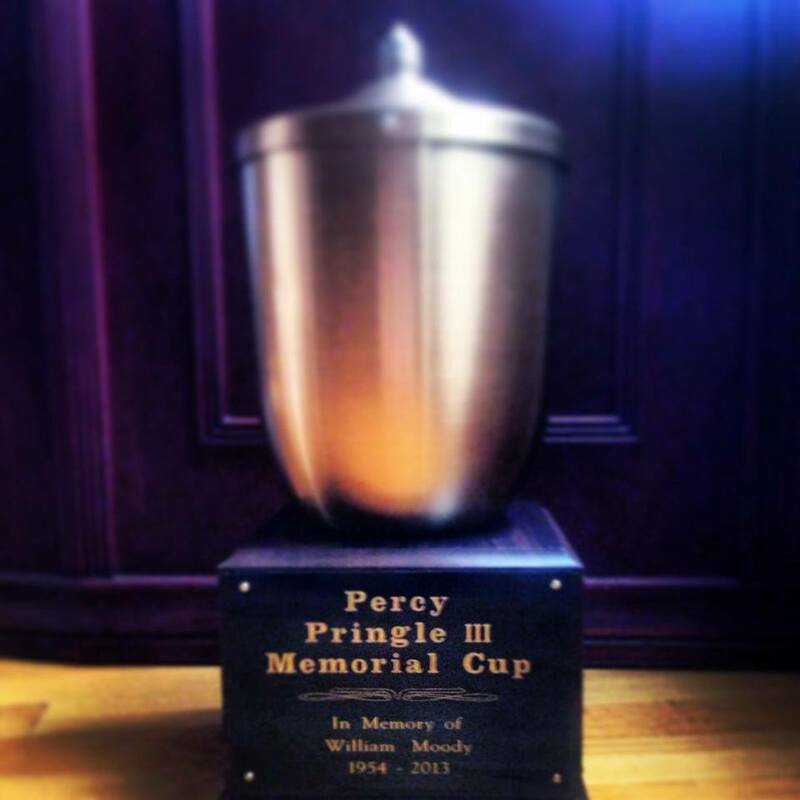 What on earth is going on with the Percy Pringle III (PP3) Memorial Cup? Here’s what we know: Rocky Romero won this year’s PP3, meaning he has earned ‘Percy’s Privilege’ to challenge for any championship at any time. Ty Matthews wants Rocky to put both the Cup and the privilege on the line in a match against his disciple in “Hyperoptimism”, ‘Big Nasty’ Eric Watts. Those two things are known for sure.Now, word is coming out of Japan that Romero was injured in a match overseas. Did Rocky accept Matthews challenge? Can he compete? Is he even allowed to put the PP3 Cup on the line (it has never been defended outside of the tournament)? The PP3 Cup is one of the most unique prizes in all of pro wrestling and the story promises only to get more unique on the road to the Red Carpet Rumble! 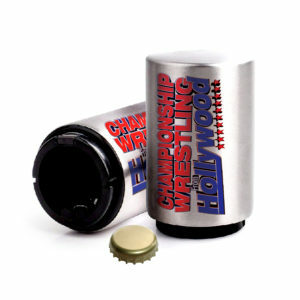 What will become of the most unique prize in pro wrestling? With dozens of other questions to focus on, one thing is for sure – the road to this year’s Red Carpet Rumble is going to be a wild one! Come be a part of the action! Free TV Tapings on the Road to the Rumble! Make sure to follow the action live from the Oceanview Pavilion at our free TV tapings (May 15, 29, June 12, 26 and then the Rumble itself is July 10!). Watch the action on FITE TV!